South Adelaide's Reserves were overcome by a fast-finishing Redlegs outfit at the Parade on Friday night. The two sides both enjoyed time in the lead, but it was a final term goal splurge from Norwood that condemned South to a 9.9 (63) to 13.16 (94) loss in the end. The first three quarters were an even affair, with the Panthers actually taking a four-point advantage into the final change. However, Norwood came charging home, kicking 5.7 to South's two behinds to run out comfortable winners. Ben Haren continued to build his strong form since being sent back to the Reserves. The former Magpie gathered 26 touches to go with his three goals as the Panthers most dangerous forward. Pleasingly, vice captain Matt Rose got through his first game in over two months unscathed. Lining up across half back, Rose marshalled the Panthers defence in his return, collecting 31 disposals and rebounding the ball out of the backlines a game-high 10 times. Diminutive on-ballers Connor Fairlie (33 possessions and 10 clearances) and Alex Moyle (22 touches) found their share of the footy. Meanwhile, young big man Cameron McGree was solid in the ruck and fleet-footed Tarik Illinworth was lively with his 15 touches and a goal. 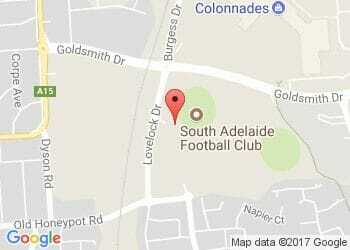 The Reserves next face Sturt at Hickinbotham Oval this Sunday, August 12 from 11.30am.